Poster Caption: The flag represents an abolitionist reconfiguration of the United States, deliberately excluding the slave states of the South. The twenty stars represent the free and border states in 1859, while the four stripes representing the slave-holding states of Georgia, South Carolina, North Carolina, and Virginia have been eliminated, leaving stripes for nine of the original thirteen states. 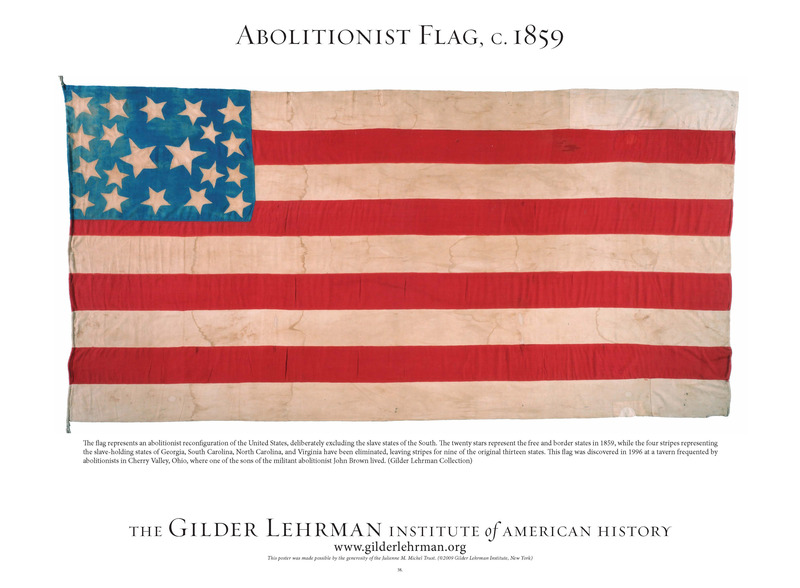 This flag was discovered in 1996 at a tavern frequented by abolitionists in Cherry Valley, Ohio, where one of the sons of the militant abolitionist John Brown lived.